Freshwater Explorers: River Snorkeling Exposes Kids to the Life Aquatic | Features | Kids VT - small people, big ideas! In a shallow section of the White River, surrounded by wildflower fields and the Green Mountain National Forest, elementary school students peered into the water, searching for aquatic creatures. Some kicked at gravel at the bottom of the river, hoping to rouse specimens; others scooped up bugs downstream. The kids darted back and forth from the water to a nearby table, where they emptied their nets and separated the critters into ice cube trays filled with river water. Using printed identification keys, they learned that they had caught stoneflies, caddisflies and mayflies — all of which indicate a healthy body of water. In early June, third through twelfth graders from schools in central Vermont participated in the inaugural Freshwater Snorkeling Education Program. 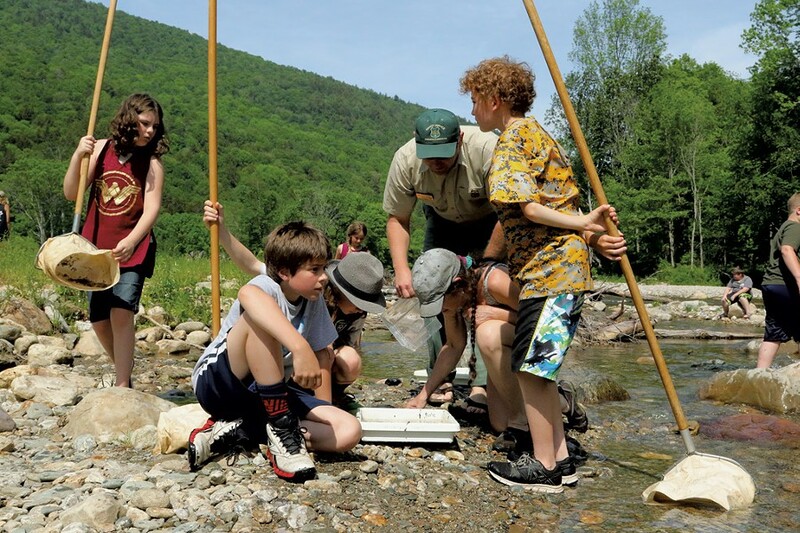 Conducted by the U.S. Forest Service in Vermont, the program is designed to help kids understand aquatic life and habitats, and how they are impacted by human actions. In a deeper section upriver, another group prepared to go underwater. Donning masks, snorkels and wet suits, they followed instructors from NorthBay Adventure — a Maryland-based environmental education group — into the water to check out the rainbow and brook trout below. One girl popped up from the water and shouted to her friends, "Look, a big trout!" This section of the White River was damaged after Tropical Storm Irene in 2011. 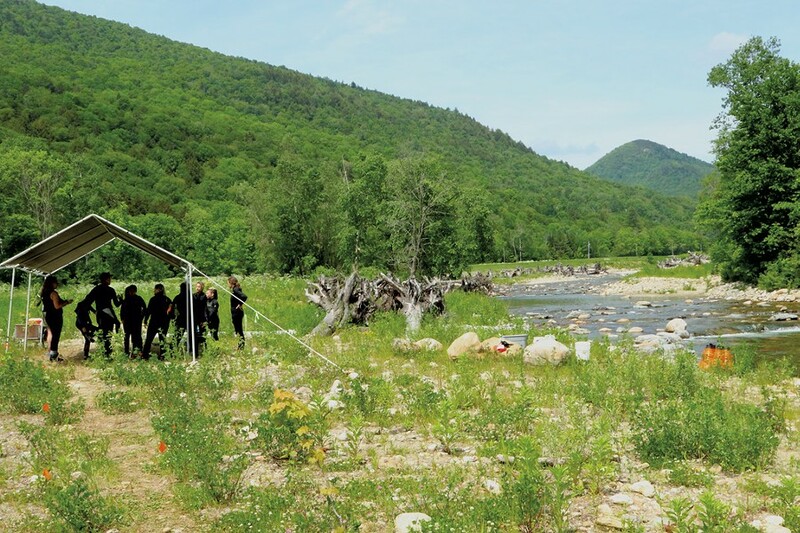 The Vermont Agency of Transportation dredged the area for rocks and gravel to rebuild roads and eroded hillsides, which disrupted the shape and flow of the river and killed vegetation along one side. To return the river to its natural healthy state, the U.S. Forest Service restored the waterway's twists and turns and installed mesh along its sides to hold the banks together until vegetation could regrow. They laid down gigantic tree stumps, partially submerged in the water, to provide a habitat for fish and birds and act as a natural buffer against any future storm damage. 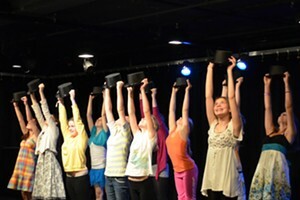 Their work provided a prime location for this education program. "What does it mean for water to be healthy?" asked one of the NorthBay teachers, dressed casually in nylon shorts, sandals and a baseball cap. Kids chimed in: "It has living things in it." "It's not polluted." "It's clear." Later, another instructor, still in his wetsuit, said, "This is a pretty healthy river." He should know, since his job sends him snorkeling all around the world. "I can tell you," he said, "there are a lot of rivers that are not like that." He explained that Vermonters are lucky to have the Forest Service that "takes beautiful care of the land, which means that we have this beautiful river we can go and snorkel in." When he asks who else is responsible for keeping rivers clean, the kids respond in unison, and without hesitation: "Us!" Do it Yourself! With a mask and snorkel, families can explore rivers and lakes on their own. A few safety tips: Pay attention to water depth and temperature, watch for strong currents, and look downriver for dangerous obstructions like boulders or downed trees.